It’s after Easter and what shall we all do with all those hard-boiled eggs and ham? 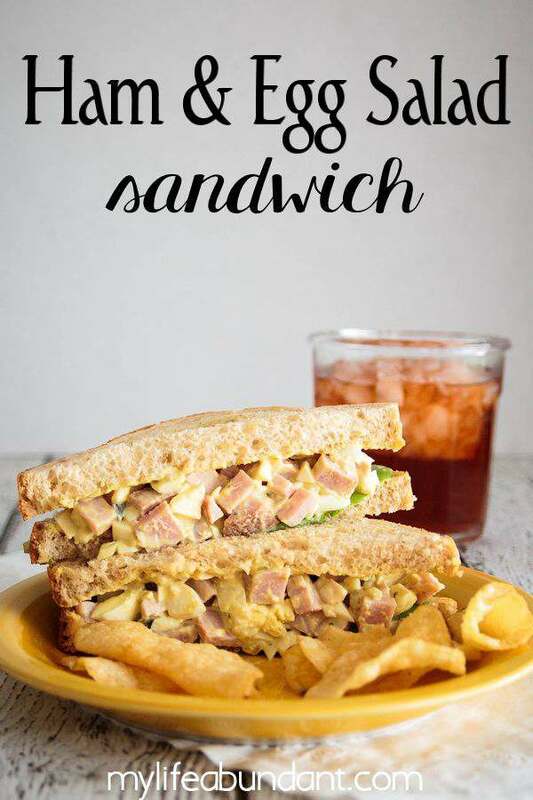 Make a Ham & Egg Salad Sandwich! Such a staple in so many homes and loved by many. This sandwich is so good with some of my fresh lettuce straight from the garden. The hard work is done with the hard boiled eggs and the ham is already cooked. 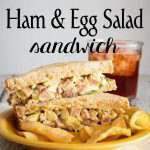 So just a bit of chopping the eggs, ham, and onions and add a few other ingredients and you now have a yummy lunch. I do like mine a bit chunky and sometimes I will try a different mustard for a bit of flavor. You could also put this in a food processor and make a creamier version of this recipe to serve on crackers. I have also used light mayo if you are watching your fat content. Chop eggs, ham, celery, and onion in your preferred size. Add mayo, mustard of your choice, relish and add salt and pepper to taste. Mix together and chill. Serve on bread of choice or with crackers.